He's just a fascist in a bad toupee. There’s nothing funny about running for President on a basis of lies and hatred. There’s nothing funny about banning an entire religion from entering your country (unless it’s Scientology). 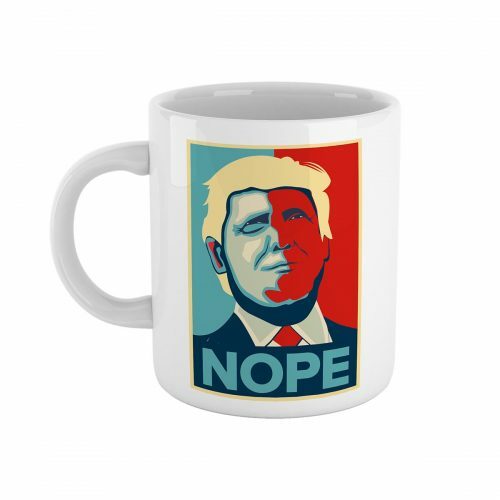 There’s nothing funny about a billionaire businessman who forgot a long time ago what the word ‘no’ means trampling all over the hard-won freedoms of an entire nation. There is plenty to laugh about atop that head though. Look at it. It’s like someone ironed a rabbit on a Nazi. 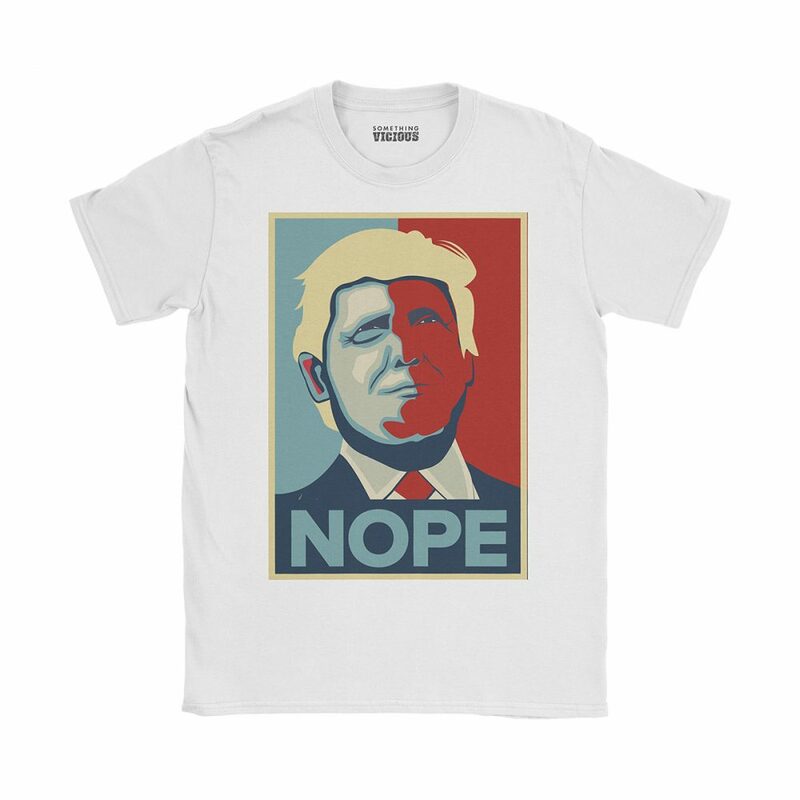 This exclusive design, inspired by the world’s premier presidential f*ckwit, is printed direct-to-garment using the highest quality ink onto the very best quality soft organic cotton tees. Designed to fit snugly and comfortably, these high quality garments will keep your body looking hilarious for years to come.